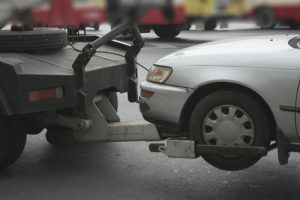 So you’re interested in starting your own towing company? Well, you’ve come to the right place! The sales experts at Nussbaum Wreckers have many years of experience in helping clients get the “tow” on the road. Read on for some tips on how to get the most out of your money by working with us. 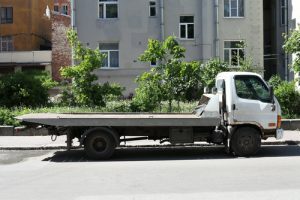 Starting a tow truck business requires a significant outlay of capital but offers solid long-term returns on your investment. So, although it may be rough waters at first, it’s nearly guaranteed to pay off for you. First, you should establish your business by filing the appropriate paperwork with the state. Consider structuring your business as a limited liability company or corporation. These legal structures provide a greater degree of protection of the business owner’s assets than a sole proprietorship will. You may require specific state licensure, so be sure to verify with county officials about any special permits. Some jurisdictions require a zoning permit to open a secured lot for impounded cars, for example. 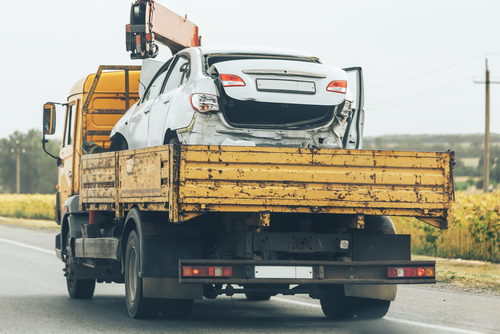 Because of the risks involved with transporting damaged vehicles, towing company operators should also carry liability insurance. Obviously one of the first things you’ll need is a tow truck. We are proud to be the number one tow truck dealer in our area! We have several types of trucks available right now. Whether you’re looking for rear-hook, or flatbed, we’ve got what you’ll need. The choice is yours, but it is very true that more towing companies are choosing flatbeds because they can accommodate the most severely damaged vehicles. Hooked trucks need to have the towed car’s rear axle undamaged, with tires that hold air. 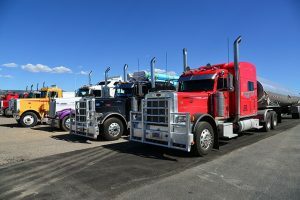 Whichever you choose to get started, your company will undoubtedly expand, and as it does you will be purchasing additional trucks. If you are looking for a used carrier for sale, you can definitely find one here. Every good towing company needs a secured parking lot that can hold cars for up to several weeks. Whether your company is going to hold vehicles or not, it is a good idea to look into a yard that will allow you to keep at least several vehicles. Your access to the local market will make or break your new towing company. Get in contact with local police precincts to get your company on their roster of immediate accident responders. Other good advertising ideas include putting up flyers at local repair facilities and arrange for referral arrangements. Put business cards in strategic locations, including the bulletin boards at auto-parts stores and local bars. Most importantly, get your company on the rosters of AAA and other auto clubs. Make sure to look for tow trucks for sale before beginning your marketing strategies. Hire drivers who have a valid commercial driver’s license and a clean driving record. Be sure to hire a team of drivers that are focused on customer service. No one likes getting into an accident or breaking down on the road. Your drivers should be courteous and respectful to your clients. Many tow truck drivers tend to fall short on this, so do your best to make sure that your team will do their best to get you repeat business. The team at Nussbaum believes in your abilities to start a new towing company and we have the best used wreckers for sale. If you have any more questions about the process, don’t hesitate to give us a call! We look forward to working with you on getting you your next tow truck!